Some religious groups, though, did not feel right about naming the dessert after the Sabbath. So, the spelling was changed from Sunday to sundae. Is this when ice cream with toppings started? It may be. History is sketchy on this subject. What do you think? Write your comments below. 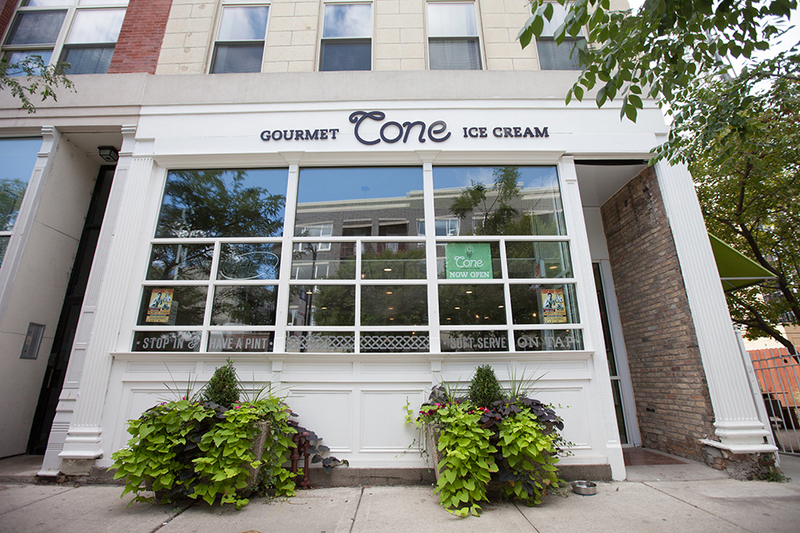 On the other hand, today is also the 3rd birthday of an Irish inspired Ice Cream store in Chicago called Cone. If you visit the ice cream store today and sing them a Happy Birthday, you will get a free topping for your ice cream. That’s a GOOD DEAL! Make the most out of GOOD DEALS in Chicago! Posted on July 2, 2016 by achicagohousewifeyPosted in A Good DealTagged A Good Deal, chicago housewifey, ice cream.